Sometimes, in order to save a tooth, a root canal procedure is performed. This is often a misunderstood procedure. Please read the questions and answers below to help you. 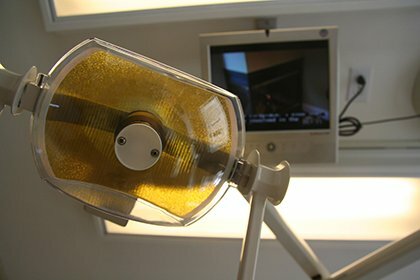 Once your general dentist in Peterborough performs tests on the tooth and recommends therapy, he or she can perform the root canal treatment or refer you to an endodontist (a pulp specialist). Treatment usually involves one to three appointments. First, you will probably be given a local anesthetic to numb the area. Next, a gap is drilled from the crown into the pulp chamber, which, along with any infected root canal, is cleaned of all diseased pulp and reshaped. Medication may be inserted into the area to fight bacteria. Depending on the condition of the tooth, the crown may then be sealed temporarily to guard against recontamination, or the tooth may be left open to drain, or the dentist may go right ahead and fill the canals. If you’re given a temporary filling, usually on the next visit it is removed and the pulp chamber and canal(s) are filled with rubberlike gutta percha or another material to prevent recontamination. If the tooth is still weak, a metal post may be inserted above the canal filling to reinforce the tooth. Once filled, the area is permanently sealed. Finally, a gold or porcelain crown is normally placed over the tooth to strengthen its structure and improve appearance. More than 95 percent of root canal treatments are successful. However, sometimes a case needs to be redone due to diseased canal offshoots that went unnoticed or the fracturing of a canal filing instrument used — both of which rarely occur. Occasionally, a root canal therapy will fail altogether, marked by a return of pain. Natural tissue inflammation may cause discomfort for a few days, which can be controlled by an over-the-counter analgesic. A follow-up exam can monitor tissue healing. From this point on, brush and floss regularly, avoid chewing hard foods on the treated tooth, and see your Peterborough dentist regularly.